Copper Harbor lighthouse is found at the top of the Keweenaw Peninsula in the Upper Peninsula of Michigan. 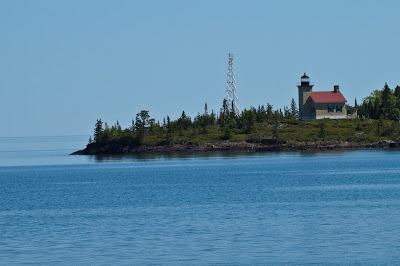 A light station has been in Copper Harbor since 1849. It guided ships into this port on the shores of Lake Superior. The present lighthouse was built in 1866. 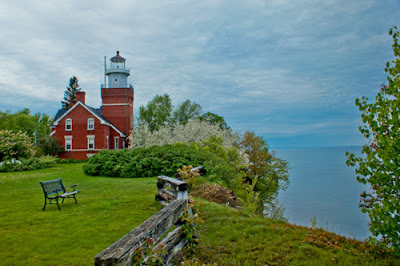 You can reach the lighthouse by boat and take tours of the lighthouse, keeper's dwelling and museum. 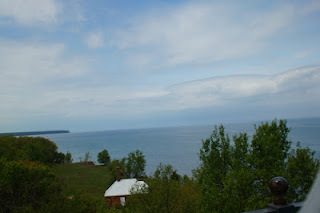 The day we visited Copper Harbor was a bit breezy, so instead of taking the boat out I elected to photograph the lighthouse from the overlook across from Fort Wilkins State Park and also from the Brockway Mountain overlook. Both of these overlooks provided a good view of the lighthouse and with a long lens I was able to capture some nice photos. Here is a notebook made from one of my closeup photos of the lighthouse. 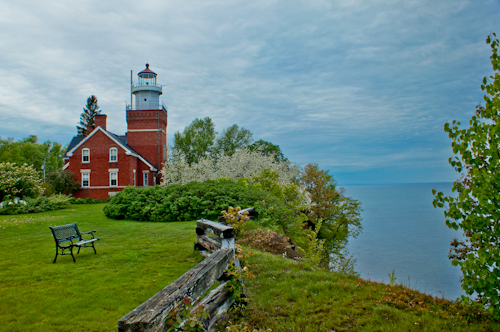 Big Bay Point Lighthouse is found on the shores of Lake Superior in the Upper Peninsula of Michigan. 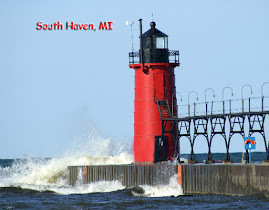 This lighthouse which was established in 1896 is on the National Historic Places Registry. In 1986 this lighthouse was turned into a bed and breakfast. 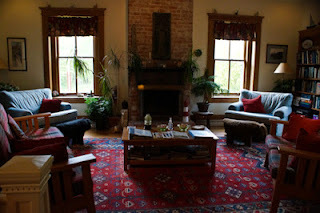 I was able to stay in this lighthouse for two nights in June and really enjoyed the experience. This photo shows the view from the top of the tower. As a guest at the lighthouse you are able to climb the tower at anytime of the day and night. The views are stunning. 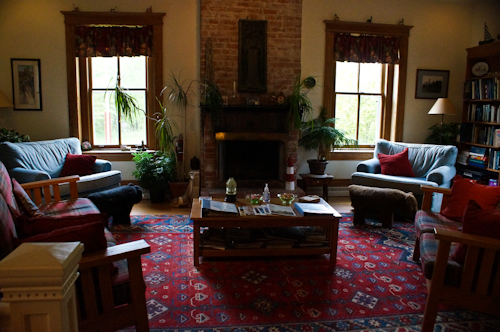 The lighthouse is a great place to enjoy a quiet few days away from the stress of everyday life. It has 7 guest rooms each with their own private bath. The entire inside of the lighthouse is tastefully decorated in lighthouse decorations.